Greetings And Welcome To My Website !! A Class - Digital E.V.P Recording "Kneel Down To The Devil" (Just Click On The Button To Take You There). April 2016. 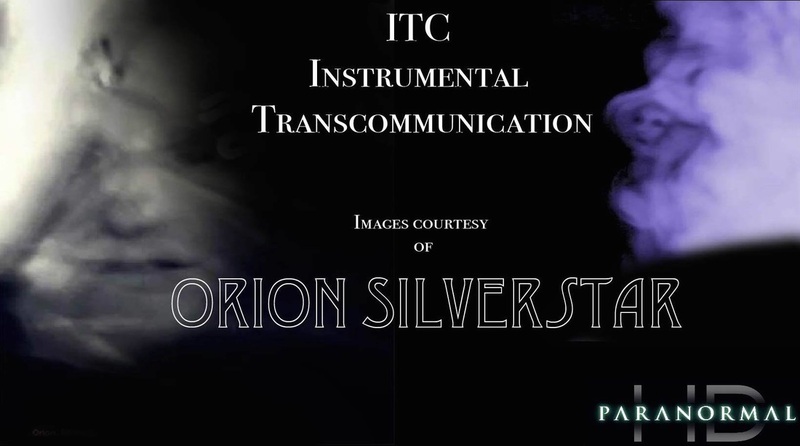 Instrumental Trans-Communication is a term used by those in the paranormal field. 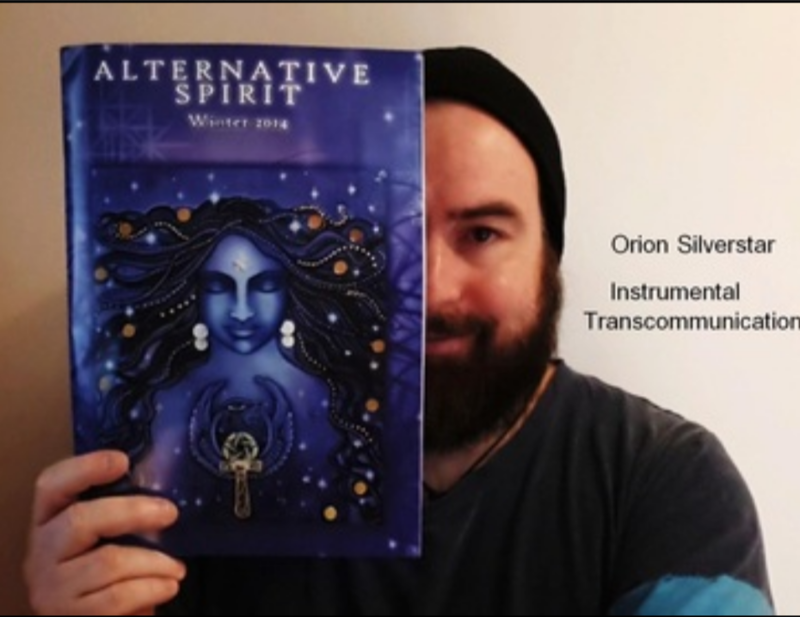 The term Instrumental Trans-Communication is an umbrella which represents all forms of communication with another intelligence outside of our own through the use of modern technology and electronic devices. Video Feedback Loop, Rapid Moving Water & The Reflection Of Light, Electronic Voice Phenomena, Spectrogram, Spirit Photography and much more. Here at this website you will find different Instrumental Trans-Communication methods used, with a brief introduction to each method, guidelines of how to do it and some examples of results, links to software to help you bring out your images, links to software for Instrumental Trans-Communication experimentation. You also will find a blog that will be updated regularly. Links to where else you may find me on the net. Links to other websites of interest. 1. Home Page : The Modern Esoteric Temple Of Baphonet - Photo's Of Intelligences From Other Dimensions - Published Articles. 3. 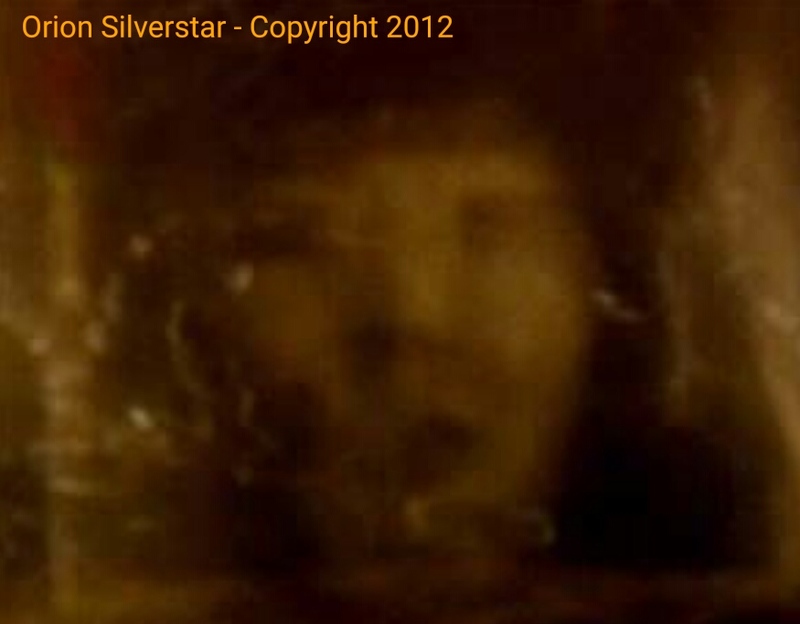 I.T.C Galleries - Moving Water/Light Reflection - Symmetry & Moving Water/Light Reflection - Beyond The Veil - Channeled Messages Through Orion Silverstar - Orb`s Of Spirit - Animal Spirits - Electronic Voice Phenomena (E.V.P). 4. Resources - Tools Of The Trade (Software) - Links & Websites Of Interest. At the end of 2012 ~ I did an interview with author and paranormal researcher Stephen Wagner in regards to my work with Instrumental Transcommunication which was published on About.com in Jan. 2013. 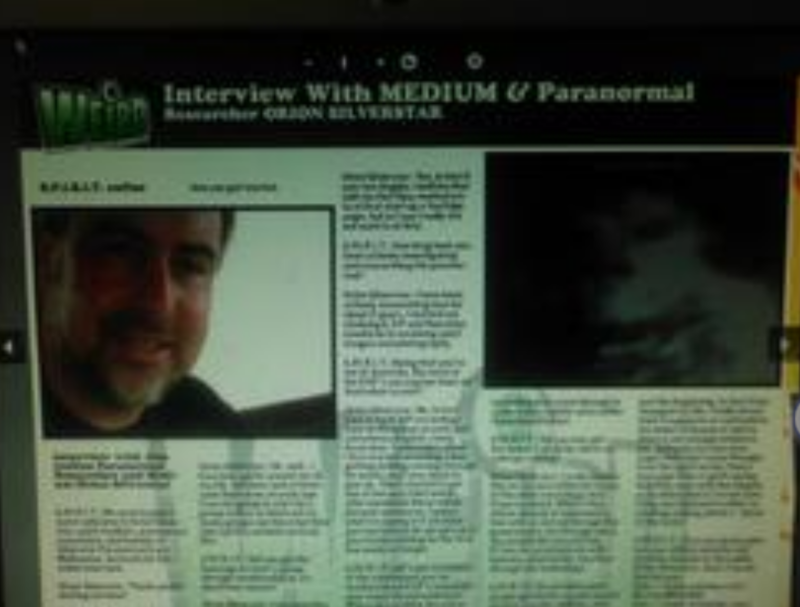 In May 2014 - I wrote an article on my early background, where I am today and my work with the paranormal. Which is published in the June 2014 winter edition of the Australian Magazine, The Alternative Spirit. September 11th 2015 - I wrote an article for another I.T.C website called : Water/Light & Symmetry. It was about how in some cases symmetric's can play a part with the Rapid Moving Water/Direct Light Reflection Method of I.T.C. As I was not the first to try symmetric's with I.T.C, I was however the first to combine it with the Rapid Moving Water/Light Reflection Method of I.T.C. October 2015 - I.T.C researcher Tim Woolworth did a write up at his website I.T.C Voices promoting my own research unto I.T.C and one of my YouTube video's on how to do the Rapid Moving Water and Direct Light Reflection Method. 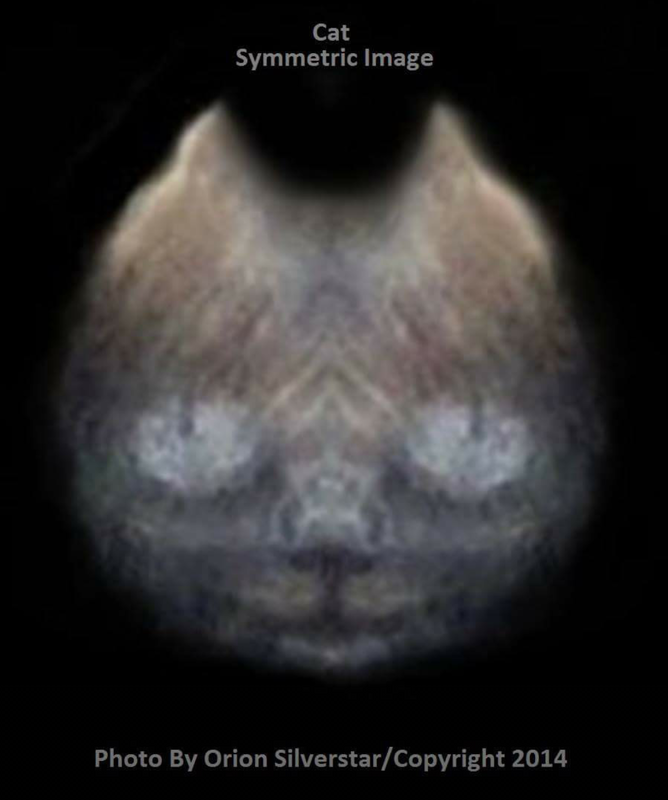 December 2015 - I.T.C researcher Tim Woolworth done a write up promoting my I.T.C work with Animal Spirits, plus featuring a YouTube video of mine on this very subject compleate with lots of Animal spirit images.